Our Easy+Plant+Walls will take your plants to a whole new level! With floor space often at a premium in today’s modern spaces, a FosterPlants Living Plant Wall, vertical garden, greenwall or MossWall just could be the solution to bringing some green into your commercial or residential space with minimal impact on your floor real estate! MossWalls are created with preserved mosses and elements such as lichen, driftwood, air plants and artificial plants. They are available in picture-frame to entire wall sizes for interior or covered exterior spaces. Our Living Walls, Greenwalls & Moss Walls are available in numerous sizes and can be as intimate as a piece of living wall art or as expansive as a greenwall mural covering the entire side of a building. Our completely self-contained modular units can be used to divide a larger space into two or several more intimate spaces. Living Walls – Miami vertical gardens, Greenwalls & moss walls are site specific and may be constructed on interior, exterior or courtyard walls. We even have systems that will work on curved surfaces — how cool is that! We offer many types of modular systems, some of which are free-standing and others that attach to the structure. Some include micro-drip irrigation and some are manually watered. Our Easy+Plant+Walls™, Living Walls, Moss Walls & GreenWalls are priced from $70 to $250+ per square foot, fully planted, depending upon the system used and complexity of your project. There’s sure to be a FosterPlants™ Easy Plant Wall™ that meets your budget and design criteria. Price points available to meet most any budget. Numerous free standing and wall mounted systems available. Indoor and outdoor systems available. Modular systems provide unlimited wall coverage. Unplanted systems and components available for the do-it-yourselfer. Leasing available on free standing and LivePicture™ systems. 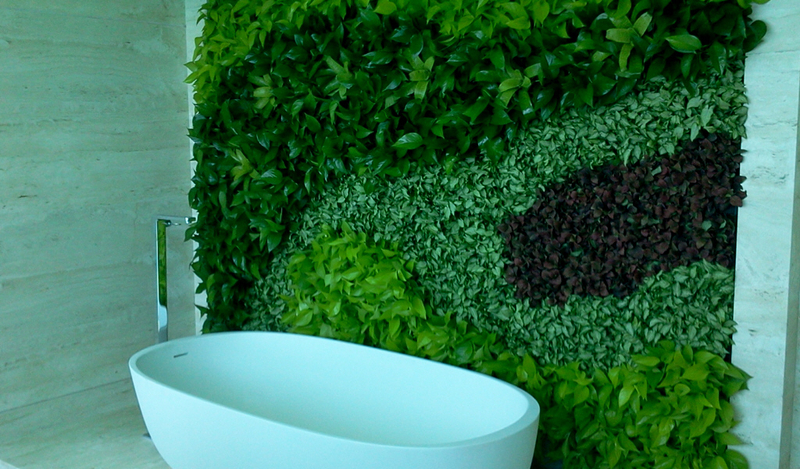 MossWalls are the perfect solution if you require no maintenance due to budgetary constraints. View our Living Walls video below.